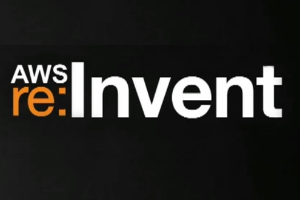 AWS re:Invent is happening this week in Las Vegas, so that means long bus lines for attendees, and dozens of blog posts about new features/services from AWS’ Jeff Barr. As AWS has grown their portfolio of services from basic infrastructure (compute, storage, networking), to application-services (database, load-balancing, caching & queuing) to data-services (data-warehouse, Hadoop, AI/ML, streaming analytics, etc. ), it can be very difficult to keep up with all the trends, announcements and features. Is Azure catching up to AWS? As we saw from the recent earning announcements from both Amazon and Microsoft, the gap between AWS and Azure is closing. Which one is leading at this point depends on what services you count in the “cloud” totals – Azure spreads it’s “cloud” revenues across a couple buckets. Given how competitive the two Seattle giants are with each other (many ex-Microsoft people work for AWS), it will be interesting to see if AWS goes after Microsoft/Azure strengths in their keynote or announcements. 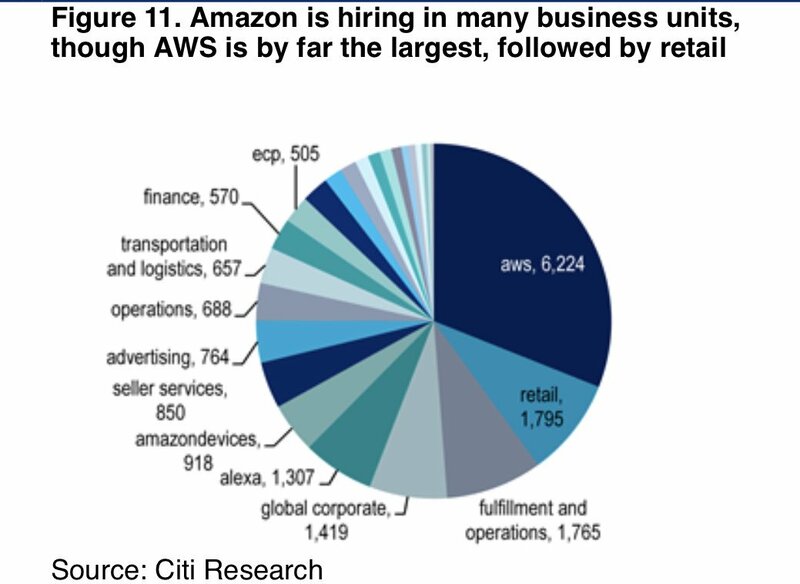 In another dimension, AWS is hiring considerable more people than Azure. For example, Azure has 2478 open reqs, while Google Cloud only has 187 open reqs. From recent research from Citi, AWS has 6224 open reqs. Do AWS customers care about Amazon’s business ventures? If you’re UPS or FedEx or DHL, announcements like this might be concerning. If you’re ADT or Brinks, announcements like this might be concerning. If you’re one of the giant insurance companies, announcements like this might be concerning. If you’re one of the giant healthcare companies, announcements like this might be concerning. If you’re in the grocery industry, announcements like this might be concerning. If you’re in any aspect of retail, announcements like this might be concerning. If you’re ESPN or FOXSports, announcements like this might be concerning. AWS’ parent company Amazon obviously have very big ambitions to get into many diverse industries. Do these ambitions concern existing or potential AWS customers, who may find themselves competing directly or indirectly with their IT-vendor? If you haven’t already read the “Cloudability – 2018 State of the Cloud” report, I highly recommend it from a company that has a tremendous about of insight into actual AWS customer usage. At the core of the report is “out of hundreds of cloud services, only four account for the majority (85% of spend)”. Compute (EC2) is obviously a huge portion of revenue, but the more important service is data storage. As more data flows into AWS services (S3, RDS, etc. ), the more sticky those applications become to other AWS services. And since AWS doesn’t charge for inbound data/traffic, but does charge for outbound traffic, the cost of moving out of AWS is significantly more than moving into AWS. Is serverless a strategy or a feature? When AWS announced Lambda in November 2014, it was considered an unusual service. But it created the concept of “serverless” as a distinct service – “distinct” in that earlier public cloud “PaaS” services (e.g. Heroku, Google App Engine) had previously abstracted the underlying infrastructure from developers, but with different pricing and scaling models. Since 2017 re:Invent, AWS has been pushing “serverless” more and more, beyond just Lambda. Now they are pushing the concept into things like Databases and other scalable services. Now in 2018, there are numerous serverless conferences around the world, and there are many advocates who will tell you that any new applications should be build with serverless (or FaaS) technologies. This approach (whether correct or not) is more in the strategic camp. Others will argue that serverless (or FaaS) is a feature or service-pattern of a broader application platform. This is where many in the Kubernetes camp are leaning with technologies like Knative. Will AWS double-down on an on-premises offering? Last week we asked our Cloudcast audience what they thought AWS would do to address on-premises applications. Almost 2/3rd thought they would make a bigger push. If this happens, does AWS create an offering like AzureStack or Google’s GKE On-Prem, or create a hybrid-cloud offering like Red Hat OpenShift, or do they create a more robust offering that tries to significantly change the rules of on-premises IT? How will “the Edge” evolve? When AWS announced both “Greengrass” and enhancements to “Snowball Edge“, they signaled that they wanted to be a significant player as more computing moved to the edge. The use-cases for IoT, edge analytics, video monitoring and many others can benefit from a combination of edge computing and centralized cloud services. But it’s still very early in Edge architectures, so many vendors and cloud providers are all trying to put their stamp on these use-cases. Which AWS partners should be worried after the keynote? Unfortunately, this is a running joke every year. During the keynotes, there is always a subset of the vendors on the trade show floor, that were previously “partners”, that quickly move into the competitor category because AWS announces a native service that competes with their current SaaS offering. So who will be on the list this year?